Nole is through to his sixth Cincy final and is one win from history! 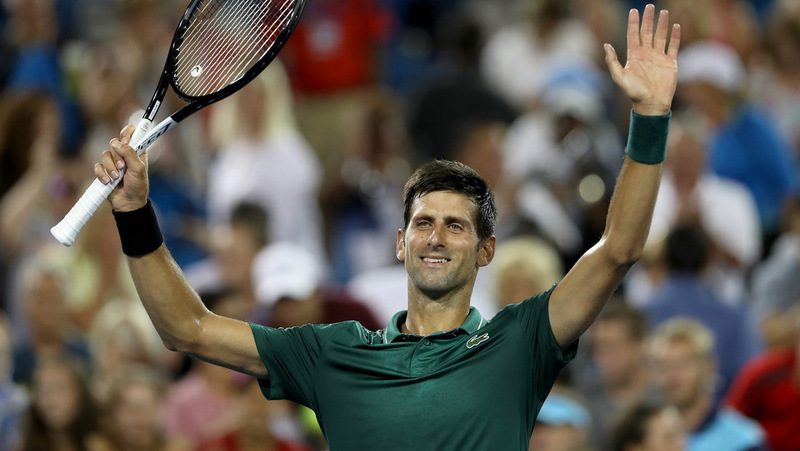 Five-time runner-up Novak Djokovic moved one step closer to completing the Career Golden Masters, following a 6-4, 3-6, 6-3 victory over 2016 Cincinnati champion Marin Cilic on Saturday. Djokovic advanced to his sixth Western & Southern Open final in two hours and 32 minutes, breaking his rival four times from eight opportunities and saving nine of 12 break points he faced. Cilic handed Novak his first break in the third game, sending a sliced backhand wide. Nole faced break points in the sixth and tenth games before wrapping up the opener. The Croat quickly put that set behind him to race into a 3-0 lead at the beginning of the second. A double break put him firmly in control of the set and, despite allowing Novak to break back once, Cilic levelled the contest. Djokovic took the initiative in the decider and broke for a 3-1 lead, but a double fault from the Belgrade native saw his opponent break immediately. The Wimbledon champion quickly regained focus and made a crucial break for 5-3, then converted his second match point to move one victory away from the only ATP Masters 1000 title he’s never claimed. Match statistics: aces (8-12), double faults (4-4), winners (26-42), unforced errors (27-40), total points won (94-92). Novak will meet seven-time former titlist Roger Federer (2) in Sunday’s final (16:00 local time / 22:00 CET). Djokovic leads their head to head 23-22, but the one place where he hasn’t conquered Roger is in Cincinnati. They’ve played three finals at the Western & Southern Open, and the Swiss has won all of them. The Serbian star is bidding to lift first ATP World Tour Masters 1000 trophy this year, 31st overall. He will look to become the first player in the Open Era to secure the complete set of Masters 1000 titles.